Seamlessly knitted, smooth surface and comfortable shoes. Stretch fabric and low pressure. High quality stretch knit material, last longer. 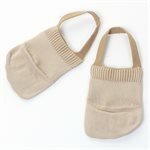 Provides breathable and beautiful instep line. 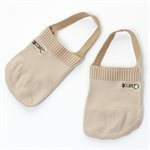 It absorbs sweat and it becomes hard to steam, keeping the inside of the shoes comfortable. Perfect fit and support, hard to come off. Washable to keep the foot clean. Since five fingers are separated by material, it reduces stuffiness between the toes and feet. Good look at toe. Because of made by high quality elastic material, there is less sense of oppression.